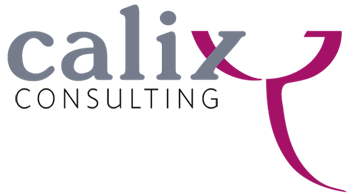 Calix is the consulting practice of Anna Pehar and I am pleased to welcome you to my website! Why Calix? ‘calix’ is Latin for ‘goblet’, which happens to be the meaning of my surname in Croatian, my mother tongue. In addition, to me it has a symbolic meaning: a goblet full of experience and knowledge from which I would like to share with you. I have spent half of my professional life in leadership roles in the academic and training and development world. The other half I have spent in corporate life, in management and business development roles. I always enjoyed working in complex, international and multicultural environments. At a certain point in my career, I decided to combine my skills and strengths from both worlds and use them in an independent role to help others to develop their strengths. I think by now my goblet contains enough to share! A friend once described me as a ‘Connector’ and that is a description I feel comfortable with. Next to my own specific expertise and experience, I have been fortunate to develop a network of other skilled and experienced professionals and genuinely nice people. I like to connect people to one another and see new things develop from that. In my consulting practice, I work in the specific niche of Business Schools and Executive Education Providers, as well as with Corporates and Not for profit Organizations.